I am a librarian and love the idea of his scavenger game. 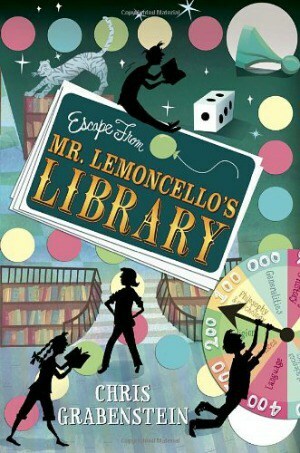 I learned that he created the Great Escape Game for all libraries. Would love to read this book with my granddaughters when it is released in September -TREASURE HUNTERS co authored by James Patterson sounds like a great read..
I’d love The Haunted Mystery Series for my classroom. How have I never heard of this author??? I want to read all of his adult stuff – and the kids’ books look great too! i’m interested to read Tilt a Whirl for adults. It is his first of a series. I like mysteries, especially now that I am always home. His book Mind Scrambler looks good. I want to read free fall! My son would love Treasure Hunters because he loves the Middle School series. My daughters and granddaughters all love treasure type movies. Wow! In addition to his books for kids and adults, Chris was a former writer of the Muppets and improv comedian! No wonder his books are so funny! My son is 9, so this is one we will check out! I also want to read Free Fall. I would love to read “Rolling Thunder”, thank you. I would love to read his book “Free Fall”. I would like to read Mind Scrambler. the Black Heart Crypt looks good! I would also l like to read “Treasure Hunters”! The Ceepek series sounds interesting. I’d like to read Treasure Hunters..sounds interesting and I love James Patterson! The Ceepak mysteries look interesting. I would like to read Mind Scrambler, from his adult book selection. I would like to read the ceepak series!! Since I’m an adult, perhaps Free Fall will intrigue me! Thank you! I would like to read his Fun House Book.